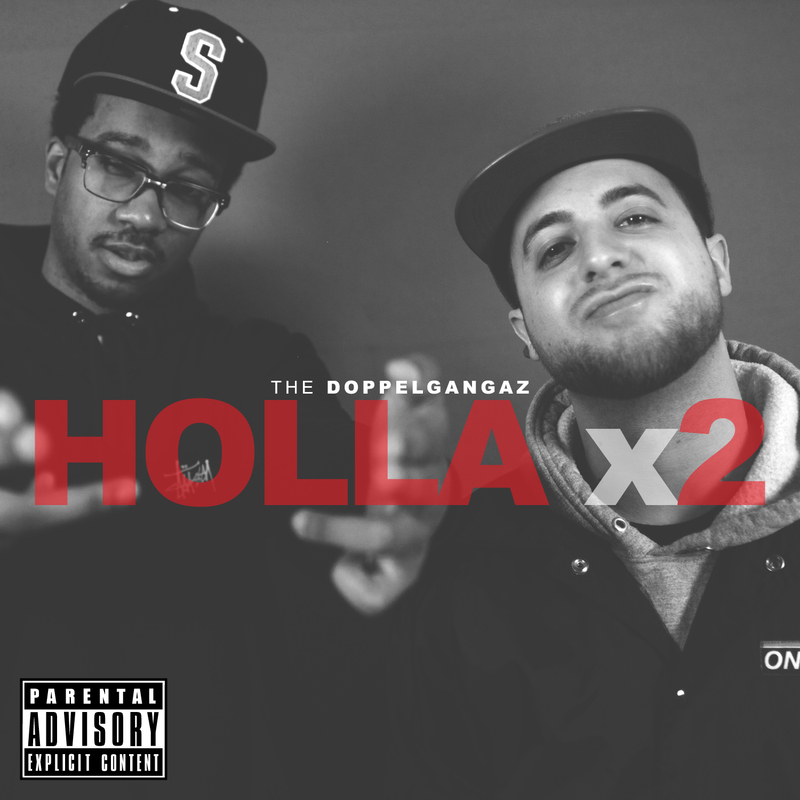 Rapper/producers EP and Matter Ov Fact, together known as the New York duo The Doppelgangaz, release a brand new track today on Noisey. The drizzly, chill “Holla x 2” is the lead single from their upcoming album, titled Peace Kehd, to be released February of next year. Diehard Dopp fans will not be disappointed, as the opening lines “He waking up to dark liquor throw some cola in it/And some Chobani yogurt throw granola in it/Hit the road it’s like he got to pay a toll a minute/Look inside the wallet ain’t no Gorgonzola in it” prove that the duo’s quirky punchline rhymes will be witty as ever on the upcoming album. The menacing and grimy feel of The Doppelgangaz’ music reflects their rugged vagrant lifestyle and tendency to drink rubbing alcohol straight from the bottle. Selling out a European tour after this year’s release of their latest album HARK, named the #2 Hip-Hop Album of 2013 by the Village Voice, the duo have built a dedicated following by spreading what they call “the Black Cloak Lifestyle.” “We do everything [ourselves] because we smell bad and people refuse to work with us,” the rappers jokingly explain of their independent career choices, like producing and mixing their own music and releasing it through their own label Groggy Pack Entertainment. The album Peace Kehd will be released next year on February 17th.